Umayabashi Bridge across the Sumidagawa River in Tokyo. 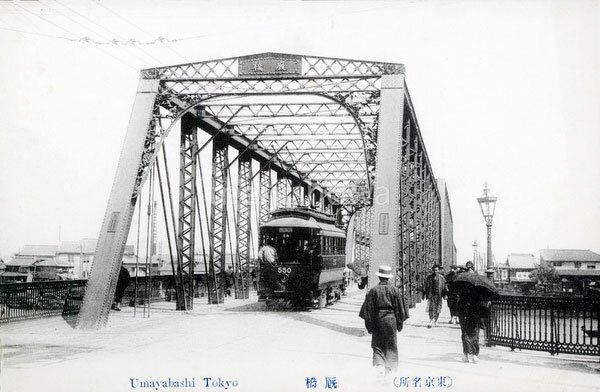 The steel bridge was completed in May 1893 (Meiji 26). It was badly damaged during the Great Kanto Earthquake (Kanto Daishinsai) of September 1, 1923 (Taisho 12), and replaced soon after.